Q) What hours are the Building Department open? A) The Building Department is open from 7:30 A.M. to 4:30 P.M. Monday through Friday. Q) Where is the Building Department located? A) The Building Department is located inside City Hall at 200 Sparkman Street N.W. Our telephone number is (256) 773-0188. Q) What code is the Building Department currently under? A) The 2012 International Building Code is the current code. Codebooks may be obtained from the International Code Council. Q) Who can build a dwelling? A) The state law requires that only a properly licensed contractor who holds a current certification through the Alabama Homebuilders Licensure Board or a currently licensed State General Contractor with a license number below 18908 can build a one otwo-familyly dwelling. The owner of the property may also build his/her own residence if it is to be his/her personal residence, which will not be offered for sale for at least a year. The owner acting as his/her own contractor loses any protection from the Alabama Homebuilders Licensure Board for any defects. The owner must adhere to all codes and ordinances. Q) When do I need a building permit? A) If any owner or authorized agent who intends to construct, enlarge, alter, repair, move, demolish, or change the occupancy of a building or structure must purchase a building permit. If any owner or authorized agent intends to install, enlarge, alter, repair, remove, convert or replace any electrical, gas, mechanical or plumbing system, a building permit is required. You must have a qualified gas person perform any gas work. Q) What do I need to purchase a permit? A) If it is a new home construction, you must leave a copy of your blue prints with us for 24 hours for the review process. You must also provide a plot plan done by a registered surveyor. Also, we must have a lot number and subdivision name in order to assign an address. If the house is to be connected to a septic tank, we must have a copy of the Health Department Permit. We must also know who your Homebuilder Contractor will be and his/her State and City of Hartselle Business License Numbers. If you are going to be building a garage or an addition to your house, you must bring in a drawing showing the dimensions of the garage or addition and the distance to the property lines. We must be provided with a job cost amount and the name of the licensed contractor. Q) How long is a permit good? A) Permits are good for six months. As long as you have started the project, but have not finished in that time frame, you can call us at 773-0188 and we will renew the permit at no charge. Q) Does everybody that I hire have to be licensed? A) Yes. 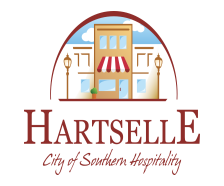 If you pay someone to do subcontractor or contractor work, they must be licensed with the City of Hartselle. Call the Building Department to find out if the contractor is licensed to do the work. One phone call can save you a lot of time and heartache. Q) Do I need a permit for a fence? A) No. Fences do not require a permit. If it is a corner lot, you do need to check with the Building Department on easements & visibility requirements. Q) Do I need a permit for accessory structures? A) Yes. Accessory structures must be located in the rear yard, at least five feet from the side and rear property lines, off any easements that may be on the property, not located under any power lines, and cannot be over two stories. Plumbing in accessory structures is limited to one commode and one lavatory. On corner lots, accessory structures must meet the required secondary front yard setback. The secondary front yard setback may be obtained by calling the Building Department.